Race, religion and sexual orientation have been the various fights that people have had to get involved with to make sure they get equal rights, but Time magazine, with the release of their next cover page on Facebook, have announced the next one is for gender variance. The time has come for trans people to have their fight for equal rights. ‘There’s nothing new to divisions within the diverse group we label “LGBT”. Lesbians have had to fight for an equal voice alongside gay men. Both tend to discriminate against bisexuals. And gay men, lesbians and bisexuals have all played a part in shunning trans people over the last forty or so years. ‘These fractures have mostly been healed over time. Gay men and lesbians aren’t typically at each other’s throats these days, and bisexuals are ignored and forgotten more than shunned. But genuine unity with trans people still has a way to go, in spite of significant recent advances. ‘It is a pointless and damaging divide because it ignores what trans and LGB people have in common — the same fundamental experience of discrimination. Street violence directed at LGB folk doesn’t originate from a passer-by knowing who you fancy going to bed with. It comes from the perception that you are breaking society’s strict rules about how women and men may behave. ‘I met the director general of the BBC a year or so ago and told him about the work I do to try and improve the way transgender people are portrayed on television,’ she said. ‘His response? “Ah yes, very good – we’ve been doing some work with Stonewall recently”. ‘Like many people, he didn’t seem to understand that Stonewall, in England, has nothing to do with trans people. The gay charity, as it calls itself, takes its name from the Stonewall riots, a fightback against injustice by gay and transgender people. ‘Gender variant people, whether transgender or simply butch women or feminine men, have always faced the harshest discrimination in society and many gender non-conforming people have been at the forefront of the fight for equality. Sadly, despite this, we are still seeing transgender people experiencing abuse at gay events like London Pride. ‘I’d like to see the organisers do more to protect transgender people and I’d like to see Stonewall do more to protect gender variant children from being bullied – they already do great work to combat homophobic bullying. 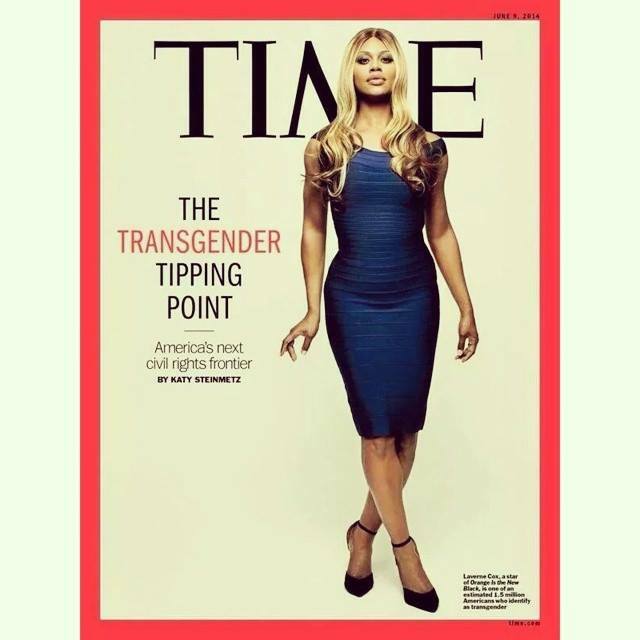 So now the fight is on, with Laverne Cox in the USA proving to be a visible icon. Maybe she should run for President next election cycle?